PT Bank Mandiri (Persero) Tbk - Bank Mandiri or referred to as "Mandiri Group" is the largest state-owned banks in Indonesia. Bank Mandiri has its business activities focused in five sectors: Consumer Banking, SME and Micro Banking, Commercial Banking, Corporate Banking, Teasury and Financial Institution. Bank Mandiri is a public-listed company and its shares were listed on the Indonesia Stock Exchange (IDX) with stock ticker symbol BMRI. Currently, the majority of Bank Mandiri’s shares are owned by the Government of Indonesia (60%) and the remaining is held by investors and general public (40%). 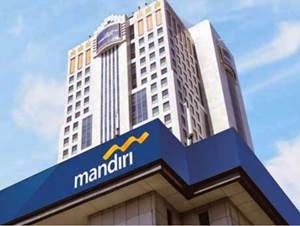 Bank Mandiri started operations in 1998, and within 19 years has established itself as the leading bank in Indonesia, with more than 112 regional offices, 8 overseas representative offices, 2,457 domestic branch offices, 1,082 sub branch offices, 273 cash offices, 17,388 ATMs as well as more than 36,737 employees. Bank Mandiri also supported by 12 directly-owned subsidiaries and 3 associated entities; PT AXA Mandiri Financial Services, PT Bank Syariah Mandiri, PT Mandiri Tunas Finance, PT Mandiri InHealth, PT Mandiri AXA General Insurance, PT Mandiri Sekuritas, PT Mandiri Manajemen Investasi, PT Mandiri International Remittance, PT Bank Mandiri Europe, PT Bank Mandiri Taspen Pos, PT Mandiri Utama Finance, PT Sarana Bersama Pengembangan Indonesia, PT PANN (Persero) and PT Kustodian Sentral Efek Indonesia. In 2015, PT Bank Mandiri (Persero) Tbk succeeded in posting overall improvement in its performance. According to PT Bank Mandiri (Persero) Tbk Annual Report 2015 as cited by JobsCDC.com, Bank Mandiri booked total assets of Rp910,063,409 million in 2015 or increased from Rp855,039,673 million in 2014. Total net earnings increased from Rp39,132,424 million in 2014 to Rp45,363,103 million in 2015. Background in Bachelor or Master Degree (S1/S2) from relevant fields of studies (local/international graduates). A minimum final GPA of 3.00 / 4.00 or equivalent (S1). A minimum final GPA of 3.20 / 4.00 or equivalent (S2). Single/unmarried with the maximum age of 25 years old (S1) or 28 years old (S2). JobsCDC.com now available on android device. Download now on Google Play here. Please be aware of recruitment fraud. The entire stage of this selection process is free of charge. PT Bank Mandiri (Persero) Tbk - Fresh Graduate Officer Development Program Mandiri August 2016 will never ask for fees or upfront payments for any purposes during the recruitment process such as transportation and accommodation.